Coming from a rich family, which sells chinese medicine, Yan Da Feng, refuses to honor his grandfather's wish to marry an ordinary country girl, Xie Fu An. He is rich, arrogant, and hot tempered. Xie Fu An, who is studying herbal remedies with her grandmother. She stays in the countryside with her brother, grandmother, and dog, until a fire destroys her home one day. With nowhere else to turn to, Fu An leaves with her brother to go to the city to look for their grandmother's old friend, in hopes that he will take them in; not knowing that the old friend is Da Feng's grandfather. 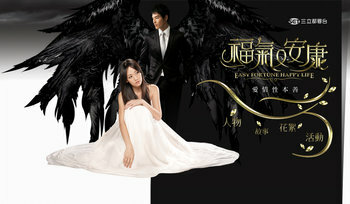 Although Da Feng and Fu An meet briefly, Da Feng is unaware of Fu An's name and so to get out of the marriage, he sends a killer to get rid of her.